Santa Ana, CA (February 9, 2018) –NIS America is proud to announce Ys VIII: Lacrimosaof DANA will be released for Nintendo Switch™ for North America and Europe in 2018! This version’s content is based on the PlayStation 4 version of the game and will contain the Deserted Pirate costumes, the Tropic Swimwear costumes, “Laxia’sEternianScholar,” as well as six other cosmetic DLC. Further details on the Switch version will be made available at a later date. Ys returns with a brand new adventure for the first time in 8 years! Adol awakens shipwrecked and stranded on a cursed island. There, he and the other shipwrecked passengers he rescues form a village to challenge fearsome beasts and mysterious ruins on the isolated island. Amidst this, Adolbegins to dream of a mysterious blue‐haired maiden living in an unknown world. 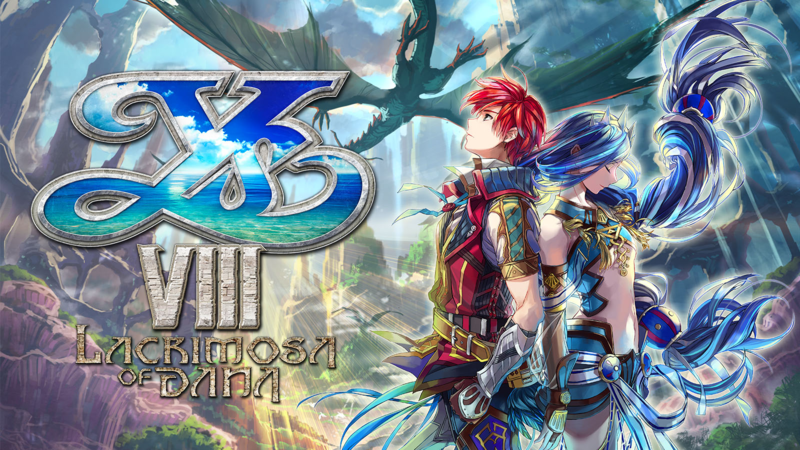 Join Adolas he unravels the riddle of the cursed isle and the blue‐haired maiden Dana in Ys VIII: Lacrimosa of DANA! An Epic Tale ‐ Follow Adolon his latest adventure and uncover the mysteries of the cursed island. Party On! ‐ Change your playable character on‐the‐fly as you battle ferocious foes in lightning‐fast combat. Another Side ‐ Unravel the mystery of the blue‐haired maiden Dana through her unique gameplay sections. It Takes a Village! ‐ Rescue your fellow shipwrecked passengers and bring them to your village where they will provide valuable services. To learn more, visit: http://ysviii.com. You can see the full fact sheet for yourself here.